India’s leading citizen engagement platform LocalCircles (www.localcircles.com) has carried out a survey on the impact and assessment of the Government’s Swachh Bharat Mission. Over the last 12 months, over 335,000 citizens have become part of the various Swachh Bharat citizen communities across more than 100 cities of India. These are citizens who are interested in governance and improving civic life in their respective cities. LocalCircles has a National Community called “Swachh Bharat” which enables Swachh Bharat Mission to easily seek collective citizen inputs on various aspects of Swachh Bharat policy and state of things in real time. Based on collective citizen inputs, over 50 whitepapers/checklists have been generated in the last one year. These cover subjects like Municipal Reforms to Civic Sense Basics for every Indian, engaging citizens in every aspect of Swachh Bharat policy making. 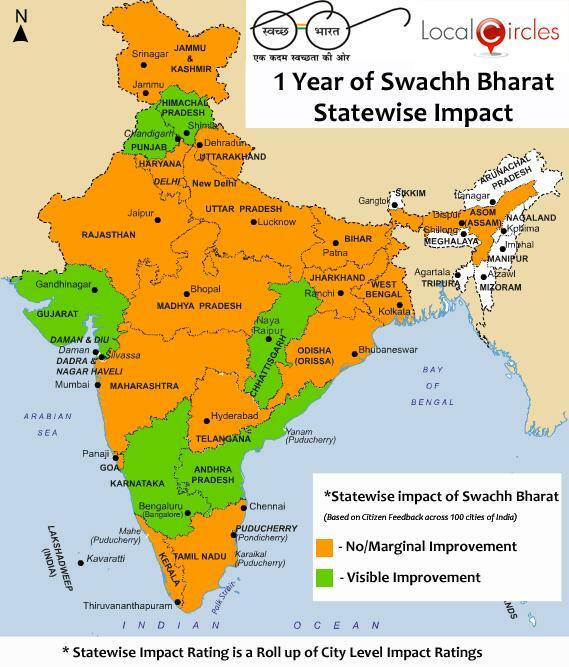 In addition to the Swachh Bharat National Circle, over 100 city level Swachh Bharat online communities have been initiated in the last 6 months, bringing citizens together at a local level for discussion, collective on the ground cleanliness action and with the objective of collective citizen engagement with the urban local bodies in these cities. Swachh Bharat Online Citizen Communities are now available in over 100 cities of India. These communities allow citizens in these cities to get and stay connected for the cause of Swachh Bharat. The urban local bodies of these cities can access their respective city community to seek citizen inputs, run surveys, organize events like cleanliness drives, citizen feedback sessions etc. on fingertips. 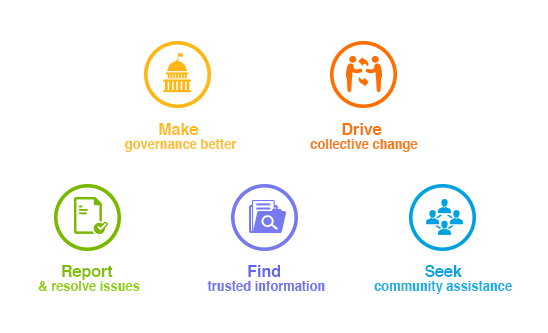 These communities started by LocalCircles (www.localcircles.com) and Swachh Bharat Mission, Ministry of Urban Development in October 2014 promote participative governance in its truest sense.